Punjab Concrete And Constructions Pvt. 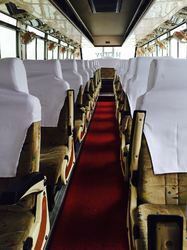 Ltd.
A tour bus service is a bus service that takes visitors sightseeing, with routes around tourist attractions. These buses are larger than regular transit buses with 2 to 4 axles (6 to 10 wheels). Are you looking for affordable car rentals for your next trip If yes, then you have come to the right place. At Himalaya Tour And Travel, we are instrumental in offering dependable car & coach rental services to the clients across Manali (Himachal Pradesh, India). 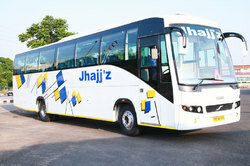 We are the manufacturers of bus ac's also both for 24 seater and 32 seater with HVAC option.